Investigators tell cops, family they're confident the case "will be solved." Kim Raff | The Salt Lake Tribune The Vidocq Society is examining the murder of Sherry Black, who was killed in her bookstore in 2010. 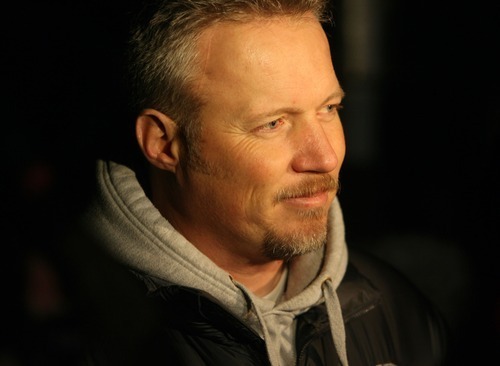 "We essentially presented almost all evidence, photographs, theories, footwork," said Lt. Dwayne Ruth, who is in charge of investigations at the South Salt Lake Police Department. 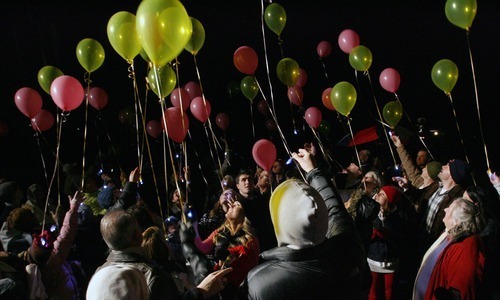 Tribune file photo Balloons are released at the gravesite of Sherry Black during a memorial service in 2011. 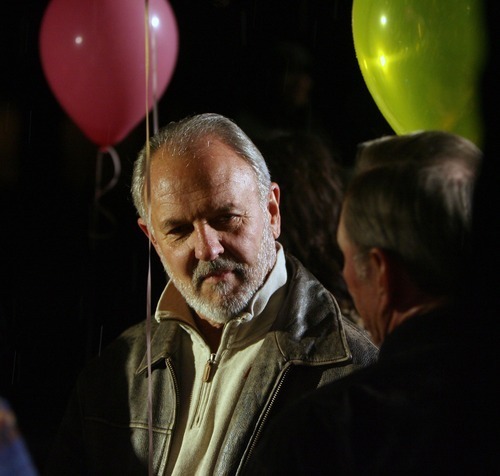 Tribune file photo Earl Black talks with friends and family in 2011 at the gravesite of his wife Sherry Black, who was murdered in her bookstore in South Salt Lake City in 2010. 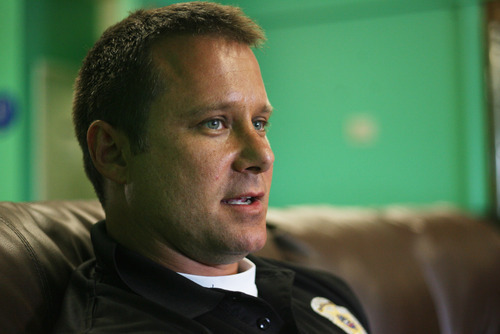 Tribune file photo Greg Miller talks with the media in 2011 about his mother-in-law, Sherry Black, who was murdered in her South Salt Lake bookstore in 2010. 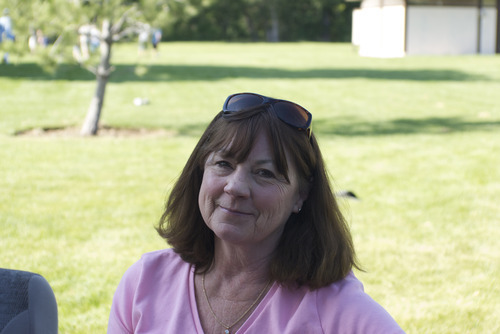 Sherry Black was murdered in her South Salt Lake home and book shop on Nov. 30, 2010. Police have no suspects or motive in the crime. South Salt Lake police recently sought some help from The Vidocq Society, a Philadelphia-based club that examines old murders. Kim Raff | The Salt Lake Tribune The Vidocq Society is examining the murder of Sherry Black, who was killed in her bookstore in 2010. "We essentially presented almost all evidence, photographs, theories, footwork," said Lt. Dwayne Ruth, who is in charge of investigations at the South Salt Lake Police Department. Kim Raff | The Salt Lake Tribune The Vidocq Society is examining the murder of Sherry Black, who was killed in her bookstore in 2010. "We essentially presented almost all evidence, photographs, theories, footwork," said Lt. Dwayne Ruth, who is in charge of investigations at the South Salt Lake Police Department. Kim Raff | The Salt Lake Tribune The Vidocq Society is examining the murder of Sherry Black, who was killed in her bookstore in 2010. "We essentially presented almost all evidence, photographs, theories, footwork," said Lt. Dwayne Ruth, who is in charge of investigations at the South Salt Lake Police Department. 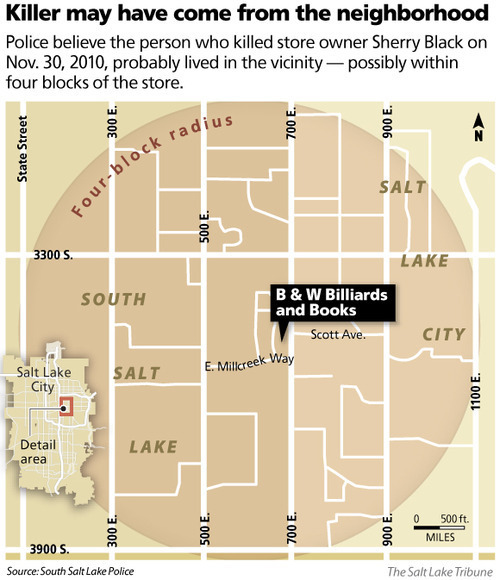 Kim Raff | The Salt Lake Tribune The Vidocq Society is examining the murder of Sherry Black, who was killed in her bookstore in 2010. "We essentially presented almost all evidence, photographs, theories, footwork," said Lt. Dwayne Ruth, who is in charge of investigations at the South Salt Lake Police Department. Kim Raff | The Salt Lake Tribune The Vidocq Society is examining the murder of Sherry Black, who was killed in her bookstore in 2010. 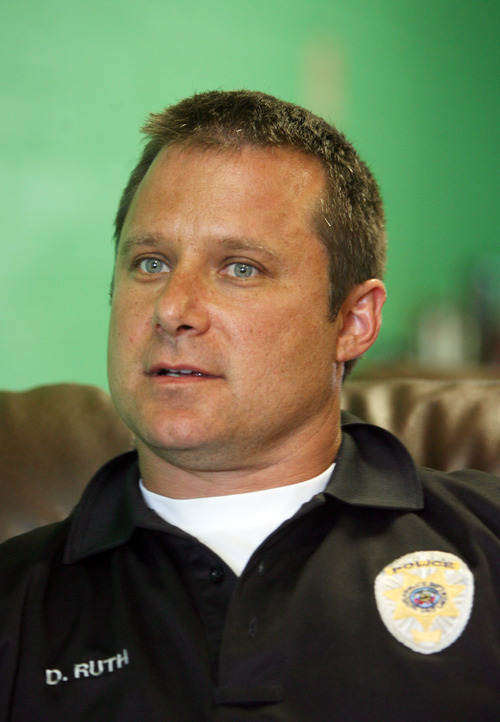 "We essentially presented almost all evidence, photographs, theories, footwork," said Lt. Dwayne Ruth, who is in charge of investigations at the South Salt Lake Police Department. 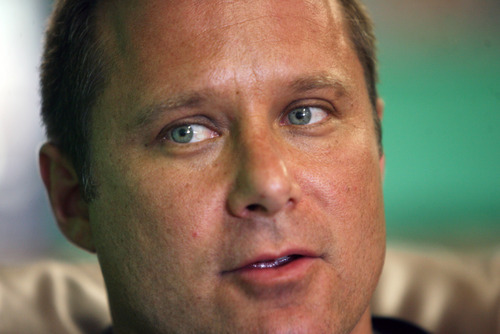 South Salt Lake police recently sought help with their most prominent unsolved murder. The Vidocq Society, a Philadelphia-based club that examines old murders, traveled to Utah in March to look at the case of Sherry Black, who was murdered at her South Salt Lake bookstore on Nov. 30, 2010. "We essentially presented almost all evidence, photographs, theories, footwork," said Lt. Dwayne Ruth, who is in charge of investigations at the South Salt Lake Police Department. 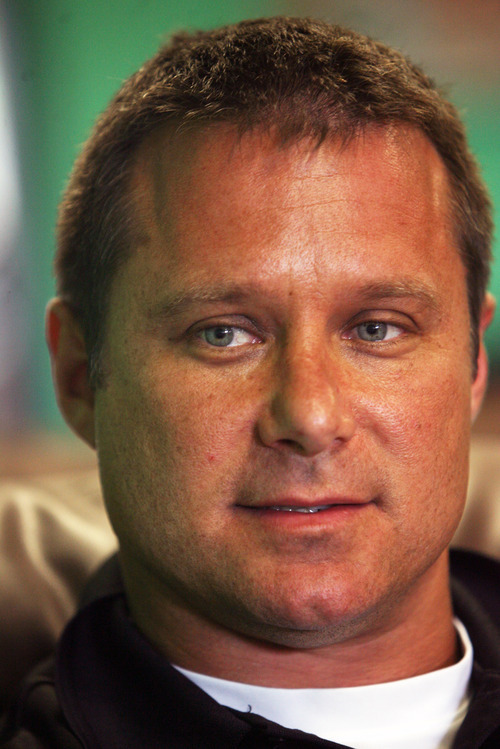 Black was the mother-in-law of Greg Miller, who is the president and CEO of the Larry H. Miller Group. It owns the Utah Jazz and a variety of other businesses. The Vidocq Society didn't identify any suspects or point South Salt Lake detectives in a new direction, Ruth said. But society members did affirm the investigation that had already been done and make South Salt Lake police more confident about who might have killed Black, 64. The clues point to a young man  under 30 and maybe a juvenile. He probably lived in the vicinity of Black's B&W Billiards and Books at 3466 S. 700 East, possibly within four blocks of the store, Ruth said. "This guy was near that bookstore," Ruth said. He may still live near there. Or he may have moved. About 70 percent of South Salt Lake residents live in rental properties. That lends itself to a transient population, Ruth said. The Vidocq Society wasn't the first group of outsiders to look into the Black case. Days after someone beat and stabbed Black, Ruth said, South Salt Lake police consulted with detectives from across Salt Lake County. An FBI profiler also has examined the case. Some of the consulting detectives have a connection to the Vidocq Society. 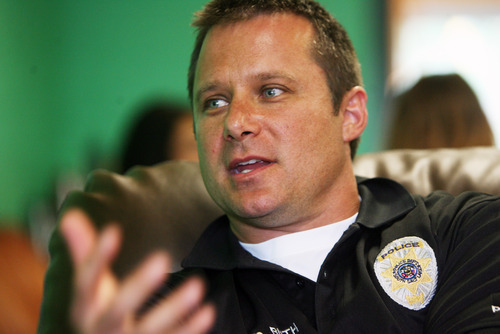 Ruth said his department eventually reached out to the society through a Utah contact. As it happened, Black's daughter, Heidi Miller, had been reading the book The Murder Room. It recounts some of the Vidocq Society's successes. Miller found the book comforting. "There are people that care about these things," Miller said in an interview Friday. Miller called Ruth to ask if he had heard of the Vidocq Society. Ruth had already talked to its members. Four members of the Vidocq Society flew to Utah, Ruth said but declined to give their names. Miller had dinner with the Vidocq Society members. "They're awesome," she said. "They're just so bright and fascinating." Miller said the members didn't discuss many facts of the case with her, but said her mother's murderer would be caught. "That's all they said: 'It will be solved,' " Miller recounted. "It's a very solvable case." The four investigators spent three days examining the Black case. The evidence includes a blood sample the killer left at the crime scene, possibly from an injury to his hand suffered as he hit Black. Police recovered a DNA sample from it, but the profile has not matched anything in state or federal databases. There also was an Armani Exchange belt left at the scene. Ruth said detectives have the murder weapon, though he would not say what that was. Ruth said the Vidocq Society found few concerns with the South Salt Lake police investigation and no obvious suspects. They also couldn't identify a motive. The perpetrator left behind cash and valuable books in the store that a robber likely would have taken. Ruth said the members felt South Salt Lake police did an adequate job the day of the killing, and in the weeks and months after, conducting what's called a "canvass" in the neighborhood by which police go door-to-door to question residents and find out who is living in that neighborhood. The Vidocq Society members told South Salt Lake police they were on the right track, Ruth said, and taught some interview techniques to use on anyone who does emerge as the suspect. "They were very hopeful we were going to solve this case," Ruth said. The Vidocq Society is known for solving so-called "cold cases," but Ruth emphasizes that is not a term that should be used on the Black murder. 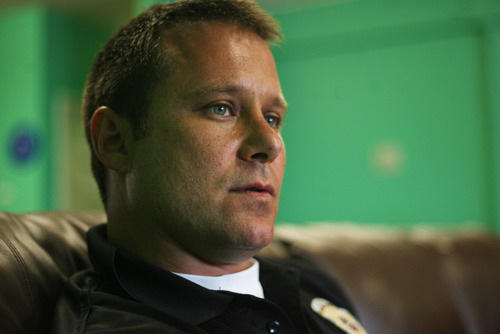 A detective, and often more than one, is working to solve Black's murder every day, Ruth said. He believes old-fashioned police work or a tip from a citizen is more likely to solve the case than waiting for the killer to commit another crime that puts his DNA in a database. "I truly believe, and my agency truly believes, somebody has information about this person," Ruth said. Miller says she has felt helpless as the killer has remained free despite her family's efforts. "I'm surprised it's not solved by now, but it will be," Miller said. Sherry Black's family has offered a $50,000 reward for information leading to the arrest and conviction of her killer. Anyone with information about the case can contact South Salt Lake police by calling 801-840-4000 or text "SSLPD" plus your message to 274637. Sherry Black's family has created a website to promote the case at sherryblackinfo.com.